It's been a month of championships, parades, awards shows and video game covers for Alex Morgan. The memorable month for U.S. women’s soccer star Alex Morgan continues. EA Sports announced that Morgan has landed the cover (along with Lionel Messi) of the upcoming "FIFA 16" game. It is the first time in history that a woman has been featured on the cover of the game’s U.S. edition. 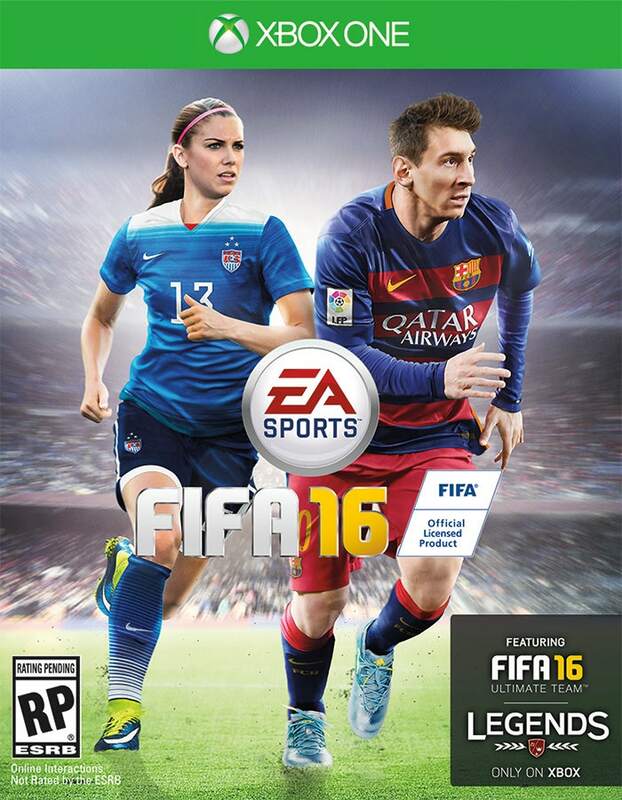 "It is an incredible honor to be one of the first women featured on the cover of EA SPORTS ‘FIFA,’" said Morgan. "I know people all over the world play this game and I’m really excited that "FIFA 16" is putting such an important spotlight on women’s soccer. And now to share the cover with today’s greatest player is surreal." Captain of the Canadian Women’s National Team, Christine Sinclair, will join Messi on the game’s cover in Canada. Morgan, as well as teammates Abby Wambach, Sydney Leroux and Megan Rapinoe, traveled to Vancouver, British Columbia, earlier this year for a motion capture session. Canadian players, including Sinclair, also participated. ‘The Herd’: Has the LaVar Ball circus actually been the perfect preparation for Lonzo Ball? EA Sports also sent its mobile head-scanning unit to tournaments and matches worldwide to capture player’s faces and hairstyles. The idea was to make the players and their movements as authentic to the women’s game as possible. "FIFA 16" will be available on September 22 in North America and September 25 worldwide.